I also dug out some half-finished Malifaux Oiran to paint up. Last time I was painting these I was waiting on shoulder surgery, and was not in a good place mentally. Both of these things are fixed now, and I was able to finish these after two sessions! 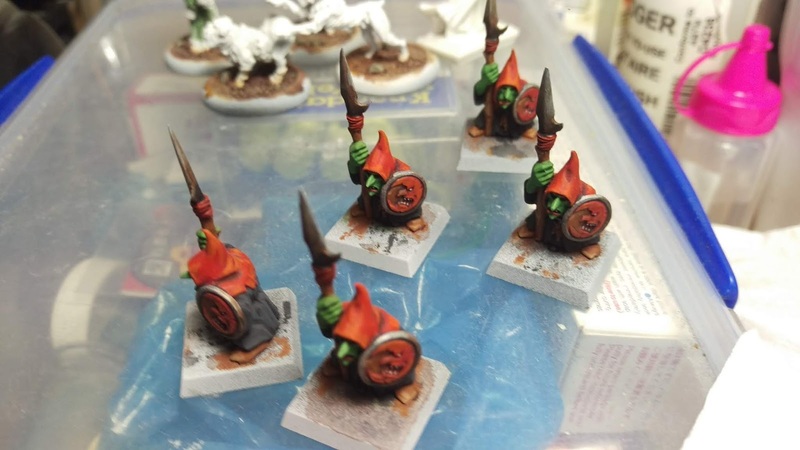 They are pretty rough, but OK, especially for tabletop minis that took 2-3 years to complete. I'm happy that they will get to hit the table soon fully painted, as I have never used them. 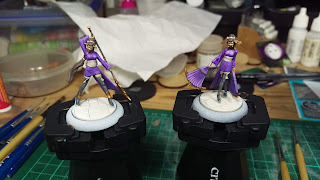 It makes me even more excited to get to work on the Ten Thunders Archers which are meant to join them as well, and maybe even some Ten Thunder Brothers soon after. I've really been enjoying using the Citadel handles as well. I initially saw them as a bit gimmicky, but I've really started to rely on them. A big improvement over standard paint bottles with a model tacked on top, as my hand doesn't cramp holding them. 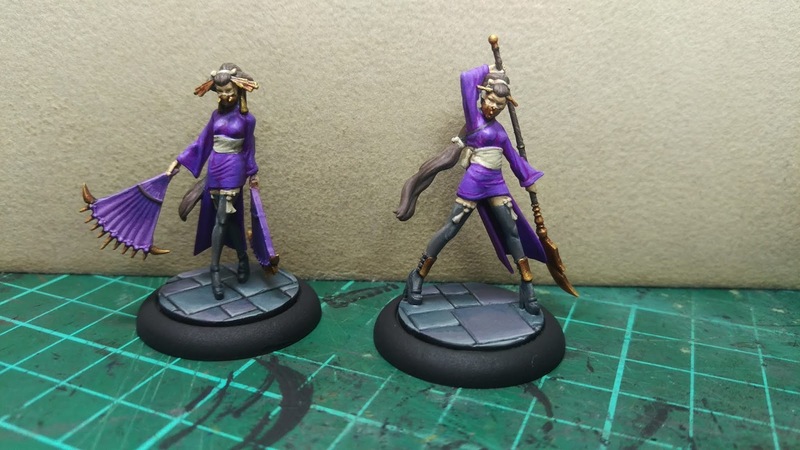 It was also really good on these models to not have the Oiran's polearm hanging over the edge where it could break if snagged. When painting the Oiran, all the finer parts were protected by the larger base clamp, so dropping them was less stressful than it usually is.